Making sure you know how to invest the stock market before you actually part with any of your hard earned cash should be a core lesson that any new stock market trader undertakes prior to being let loose to trade freely. 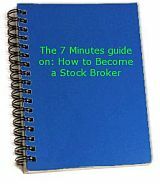 By far the easiest way to learn how to understand the basics of stocks trading, is to partake in a simulation program. If you have ever followed the process many adopt to virtual sports teams, you’ll understand the concept of stock trading simulation – as they share the same basics. In short, with simulation you enter the world of a virtual stock market that reflects the goings on, on a designated real world stock exchange. The big difference between your virtual world and the real world is that the balance in your account is not real money. As such, you can use the simulation program to experiment with your basic stock trading technical analysis and stock charts to ensure that you understand how each of these works. Then, in the event that you lose money, which 90% of new traders do, it will not be the end of the world as you will not have lost any real money, but only virtual money. On the other hand, if you make huge profits, you won’t have made your fortune, but you will know that the time may have come for you to move on from trading virtual stocks to trading stocks in real stock markets. However, while there are numerous benefits to investing in a virtual atmosphere, you should keep in mind that the knowledge that you may not lose any money if the trade of your chosen stocks goes sour can lead to you having a more cavalier approach than you may otherwise have adopted. As such, even though you may have benefited greatly from a preliminary introduction to investing in stocks by virtue of a simulation program, once you transfer this new found expertise and knowledge to the real world you should still maintain a precautionary approach until you have established enough experience in stock trading to feel confident that both your simulation and real world experience of investing in stocks warrants you having a more adventurous approach. In other words, when you first start, learn how to walk before you can run. That way you will have done your up-most to ensuring you have a long and successful career as a stock market trader. You can profit greatly from the stock market using a formula plans.